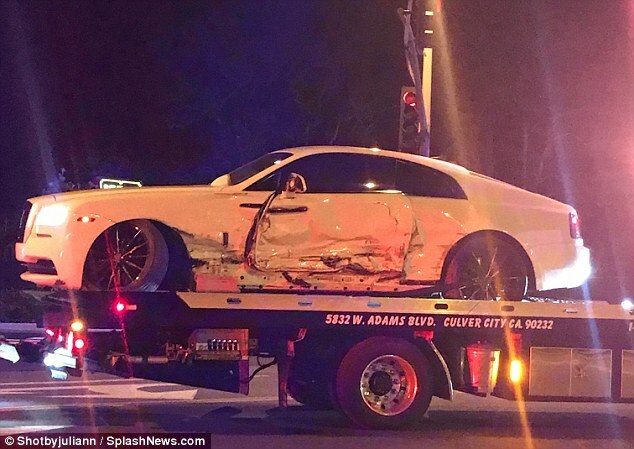 Just weeks after having to make an emergency landing after his plane blew two tires, Post Malone was involved in a car accident! The accident happened last night and his assistant was driving the Rolls Royce! Apparently no alcohol was involved either but the accident was pretty bad, the car had to get towed...BUT not before Post took a picture on top of the car! CLICK HERE to see the car! Check out what Post Malone said about the crash below!